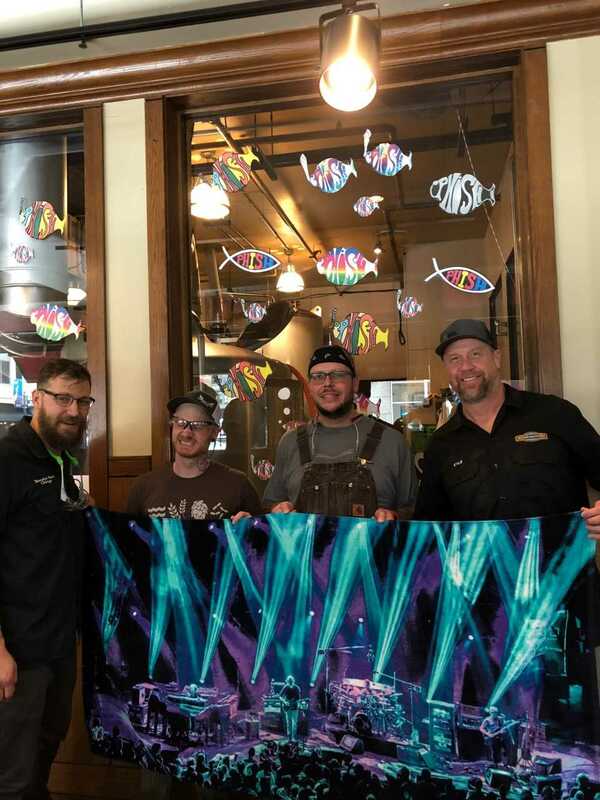 Even though Phish won't be playing in Chicago again until late October, the generous fans and musicians at Rock Bottom Chicago are once again brewing a beer to raise funds for The Mockingbird Foundation and the cause of music education. They are having a roof top tapping party of their "Sample" ale this Sunday, July 15th, from 2-6pm. "Sample" is "a hoppy red ale brewed with copious amounts of Simcoe, Citra and Columbus hops for a pungent, heady hop aroma." It will be sold for $7, and will be served in a jar that you can buy for $3 (while supplies last). The jars have been very popular at previous fundraisers for the Foundation. For every "Sample" consumed over the week, from July 15th until the glassware sells out, Rock Bottom will donate fifty cents to Mockingbird, but they'll also donate $1 to Mockingbird for every jar sold. So, in other words, if you buy a "Sample AND a Jar," $1.50 of your $10 will go to Mockingbird, and support the funding of music education programs. Jimmy "the Muscle" Beyer is opening the tapping party on Sunday at 2pm, and then for the rest of the day (on the roof) "Those Guys" will perform some Phish, Dead and other improv rock until 6pm ct. Rock Bottom Chicago has also decorated the brewery with Mockingbird, phish.net and Phish stickers to make the brewery look like a giant "Phish" bowl. Below is a pic of Raybird, the head Brewer, with Jimmy "the Muscle" Beyer, Brandon Stern and Kyle Calkins all brewing sample. Please support this Fundraiser if you can; the Foundation is grateful for Rock Bottom Chicago's continued support of its volunteer efforts! Very cool, will definitely be stopping by!